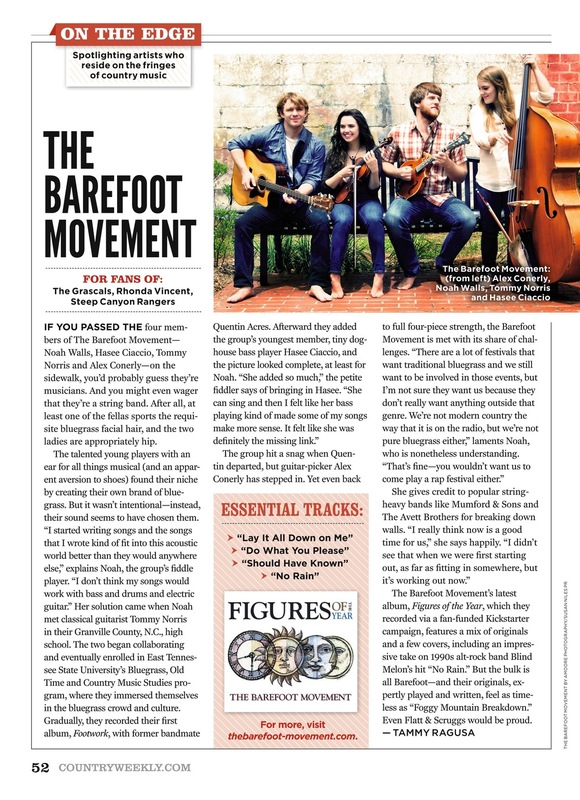 2014 IBMA Momentum Award Winners for "Band of the Year"
With groups like The Barefoot Movement on the scene, the future of bluegrass is in safe hands. Our song "Too Long In One Place" is featured in the award winning documentary "The 13th Step"
Chosen to represent the United States for an embassy tour of Burkina Faso, Africa as part of the Arts Envoy Program. -"Tobacco Road" has been featured on The Outdoor Channel's "Huntin' The World: Southern Style"